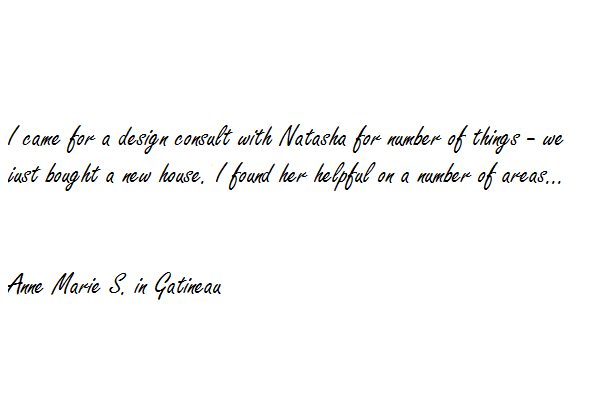 I came for a design consult with Natasha for number of things – we just bought a new house. I found her helpful on a number of areas, not only the window treatments. She is extremely knowledgeable.